Remember the feeling when you first join a public speaking contest during your 5th grade? You might feel the same again after the dentist requires you for a tooth extraction procedure. Nevertheless, we at Shawn A. Walls, DDS are here to help everyone counter the fear and anxiety of undergoing any dental treatments. Sedation dentistry is indeed a big help in dental practice. Many who are not sure of visiting the dentist due to unpleasant past experiences are now motivated to receive the necessary treatments for their oral health. In our clinic, laughing gas or also known as nitrous oxide is available. This sedative allows patients to feel calm and relaxed in the dental chair. Between laughing gas and local anesthesia, the former option is more comfortable and convenient. It prohibits the use of injections so people who might find needles unfavorable can highly benefit from it. Nitrous oxide comes in an uncolored and sweet smelling gas which even the young patients love. With sedation dentistry, dentists are free to perform the needed treatment without any distractions. They can function in the dental office smoothly without having to deal with stressed or nervous patients. It eliminates the need for patients to revisit the clinic the next day due to an unfinished procedure. Surgical procedures may cause discomfort to patients. But with the help of sedation dentistry, they are sure to feel little to no pain at all. Sedation dentistry can make patients look forward to their next dental appointment. 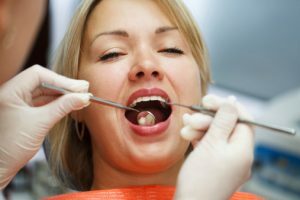 Since its goal is to make patients feel calm and relaxed while undergoing a dental treatment, sedation dentistry turns the person’s dental experience into a pleasant one. Requesting sedation dentistry services at the dentist may mean additional costs. A person may feel a little dizzy after the sedative subsides. For more information about Sedation Dentistry in Johns Creek, GA, be sure to contact Shawn A. Walls, DDS today. Our entire team looks forward to meeting you in person and helping you achieve the best possible dental health results. We are located at 10700 Medlock Bridge Rd., #202, Johns Creek, GA 30097.